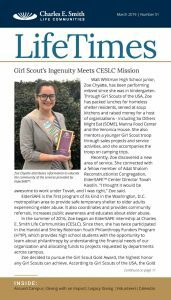 CESLC is proud to pair youth volunteers with Hebrew Home of Greater Washington residents for two creative and therapeutic programs. The arts and music grant, administered by the Association of Jewish Aging Services, will fund Opening Minds through Art (OMA) and MUSIC & MEMORY® at Hebrew Home. 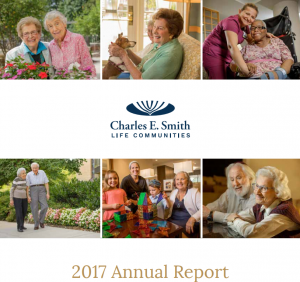 We are grateful to have the opportunity to build on our culture of quality elder care, intergenerational engagement and excellence. 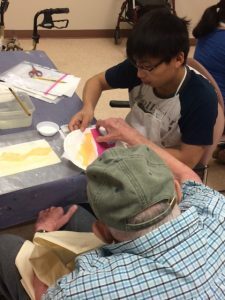 Opening Minds through Art (OMA), an award-winning art program, builds connections between older adults and youth volunteers. Working on projects together encourages social interactions and artistic opportunities for artistic expression. An eight-week program provides training for volunteers who learn that a therapeutic approach builds a sense of empathy and insight that incorporates imagination and social engagement as a foundation for each interaction with residents. At the conclusion, we will hold an exhibit displaying residents’ creative works of art. The second grant, Music & Memory™ is based on neuroscience research and provides an extraordinary experience for older adults struggling with cognitive change. Music is known to have a strong connection to memory, and personalized music can help the listener reconnect and gain social skills. Trained participants set up individualized musical playlists for each resident. 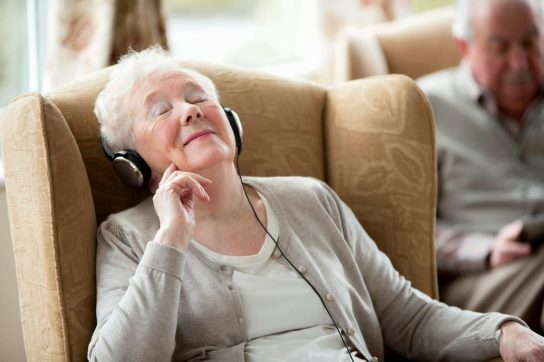 One of the goals of this therapy is for participants to listen to familiar music helping them become more engaged and responsive to their surroundings. Music-triggered memories have a remarkable impact on cognitive function and well-being. Pairing trained participants with residents for this one-to-one approach provides a constructive and rewarding experience.